COMFORTABLE FABRIC: The upper is made of a diving material with good breath ability and quick drying. Smooth fabrics with fine stretch on uppers. Like socks, flexible and comfortable, make you feel great freedom and comfortable in wearing. Lightweight and compressible, easy to carry when you go out. UNIQUE DESIGN: Smooth neck designed prevents chafing when wearing our water shoes. Unique sole design, with an ergonomically molded, shock absorption performance cushioning separated to protective toe. There are a variety of colorful styles to choose from. SAFETY: The soles are made of TPR materials with excellent air permeability and non-slip resistance. TPR is a plastic material with good abrasion resistance and is commonly used in the manufacture of sports shoes. 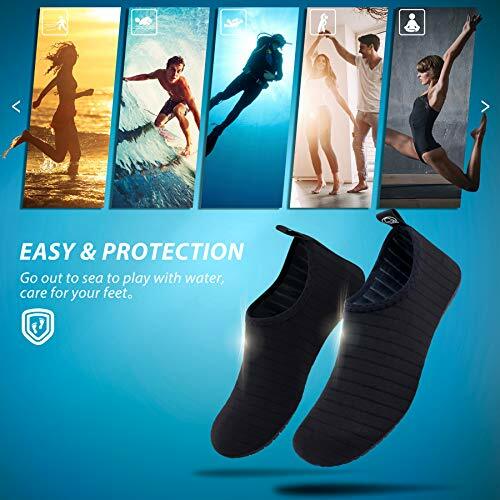 It can protect your feet from sharp objects. 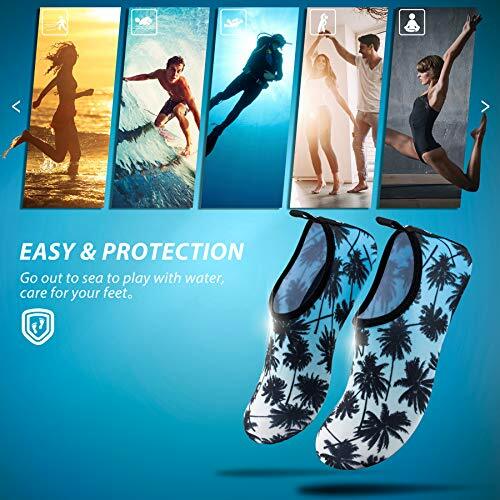 Even on hot beaches or rocks, it protects your feet well. 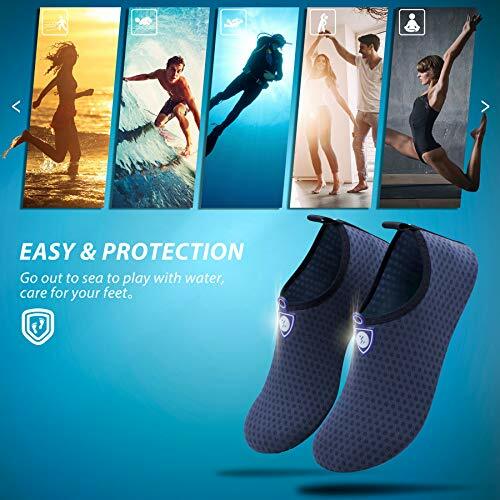 Occasions: Perfect for beach games, swimming, surfing, pool, sailing, water park, boating, kayaking, beach volleyball, fishing, walking, car-washing, vacation,Pilates and yoga etc. Especially for family outings! Customer Serivce: All SIMARI customers enjoy 30 Day Money Back Guarantee and An One Year Warranty. You have no risk to try.We promise you will get the high-quality products and servicfrom SIMARI. If you have any problems with the water shoes you bought, please send the email to us for anytime.